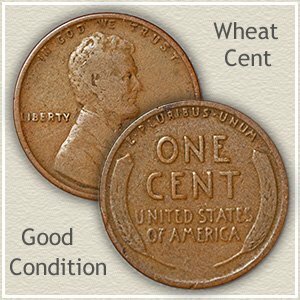 When selling wheat pennies you realize the highest prices by separating your coins into the different decades, mintmarks and conditions. Your Lincoln penny is very popular today with a large, active following of collectors and dealers willing to buy. Coin buyers know the market well and are actively seeking the wheat back variety of Lincoln cents, identified by the distinctive reverse of these old coins. Today's minimum value of the majority of these coins is 3 cents each. However there are many things you can do to realize a higher per coin value. As you prepare selling wheat pennies for the best value, no longer should they be considered as one single group. Rather, time spent easily sorting your coins pays big dividends. Above are the only dates worth minimum value, all other dates in the Teens-Twenties-Thirties are valued higher. Values Up-Dated…	 2019	 *AU are coins with slight wear. 1. Breaking away from "common" status are those minted in the early teens, twenties and thirties decades. 2. The popular "S" mints are now worth a premium. 3. Always set aside for a higher asking price, coins whose condition stands out as nicer than the rest. You are likely to find in your group of old coins the highest concentration of rare wheat pennies in the years 1909 through the "teens." First to keep in mind: any penny you find from the teens and earlier in better condition than the image to the left is worth a premium. Secondly: within these early dates, all branch mint coins, identified by a "D" or "S" mintmark just below the date, are also valued higher. Wheat penny value does drop somewhat for dates in the twenties, although coin buyers are still interested. And, you are likely to find more examples within your box of old coins. As with the teens, any mint marked issue or better condition penny is worth a premium. In the thirties a greater number of dates and now a few mint marked pennies are priced in the minimum 5 to 7 cent range. Importantly it is still true, all higher condition coins minted in the thirties are valued well above the minimum. Compare you coins to the image on the right, those nicer than this "Good" condition example should be priced separately when selling wheat pennies. Starting with 1940 all Wheat Back cents are worth at least 2 cents each. But you can often do better. Among the years 1940 to 1958 (the last year of wheat penny design) there are three special types of valuable pennies. Each is worth searching for. Easily spotted is the 1943 "steel" penny. Next, all "S" mint coins. These were minted in San Francisco, and identified by the "S" mintmark below the date. And thirdly, set aside all high grade examples, those with only slight wear. A good indication of better condition coins are those retaining red and gold mint luster among the lettering. Use the images to help find the valuable pennies from the 1940's and 1950's. Set these apart when selling wheat pennies. Accurately Value Your Rare Wheat Pennies: Following the steps above organizes your old wheat pennies into the main value groups that have begun to evolve. For the scarce dates, mints and nice condition coins... Please consult the Lincoln Penny Value Chart for a complete listing of dates and mintmarks valued according to condition. Finding Coin Buyers: As far as convenience, your area coin dealer is an excellent place to start when selling wheat pennies. Organizing, following the steps above and accurately placing a value prepares for an on the spot offer and if you accept, an on the spot sale. Well done! Additionally, multiple selling opportunities are found by visiting coin conventions. A variety of both small and large coin shows and conventions are held throughout the US, bringing together many dealers. In one location you have the advantage of offering your coins to more than one serious buyer. Search for show schedules at CoinWorld. The Professional Numismatists Guild: PNG Dealers. A large organization of member dealers all adhering to a strict code of ethics. Use the "Find a PNG Dealer" search to locate dealers in your area. Listings provide background information, web links along with name and contact numbers. Hobby publications: CoinWorld and Numismatic News (www.numismaticnews.net). Both publications are great sources to locate dealers. Also by gaining an insight into coin collecting you quickly get a sense of how popular your wheat pennies are. Active Buyers of Wheat Pennies: Visit these reputable dealers, give them a call and discuss your coins. All are active buyers of wheat pennies. A couple of last words as you prepare selling wheat pennies. Never clean your coins, leave them exactly as they are. Any attempt at improving their appearance lowers value. Collectors seek only original condition coins and avoid examples that have been cleaned. To your success, maximizing returns when selling old coins and enjoying the process. Complete listing of Lincoln Penny value. Early dates and higher condition coins are on the move. Some are not as common as once believed. Their prices are climbing in response to increased demand. A quick look at the value chart shows a big change in how much your box of old pennies is worth. Condition is also playing an increasing role. Coin values listed. From the earliest Half and Large cents, to Indian head pennies to the popular Wheat pennies of 1909 to 1958. Match your coins to the grading images and Penny values chart. Some of these old pennies have amazing values. All old US coin values. 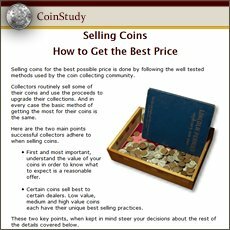 The home page is an excellent index, pulling together tips on selling wheat pennies and quickly leading to values of all the major coin series. From Cents to Gold. Prepare your coins for selling, find coin buyers and understand their true potential.